Tyra Beaman is currently pursuing a Master of Science in Foreign Service at Georgetown University’s Edmund Walsh School of Foreign Service. In the summer of 2018, Tyra served at the U.S. Embassy Accra, Ghana in the Political Section with a focus on Human Rights. From 2016 to 2017, Tyra completed a 10-month Fulbright English Teaching Assistantship in Santo Domingo, Dominican Republic. 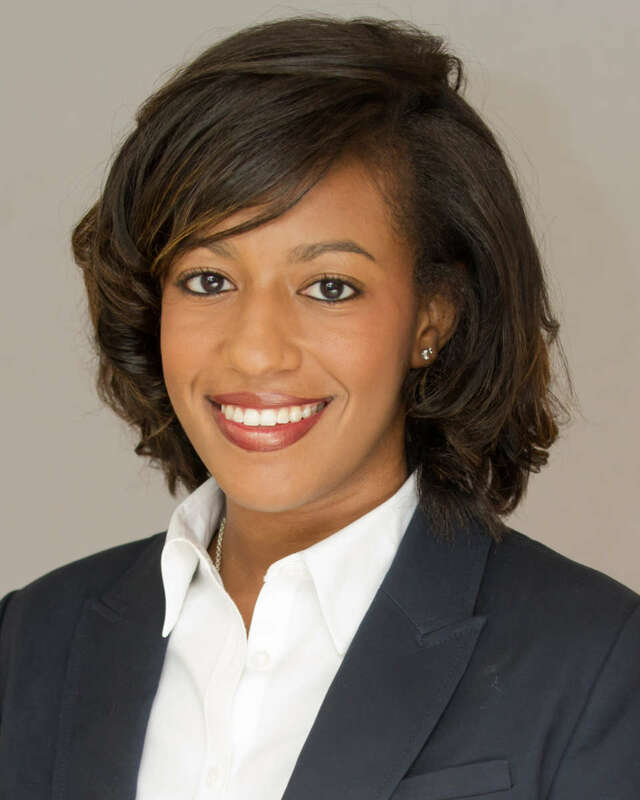 She departed for the Dominican Republic directly after receiving her Bachelor of Arts in International Studies from Spelman College and serving as a Charles Rangel Fellow for Congressman Gregory Meeks. While pursuing her undergraduate degree, Tyra co-founded an international education company, Black Beyond Borders LLC, dedicated to empowering and instilling the black community with cross-cultural tools to study abroad, with purpose. She continued her work building transnational relationships through studying, serving and working in Argentina, Uruguay, Haiti and South Africa. Upon her graduation from Georgetown in 2019, Tyra will be entering the U.S. State Department as a Foreign Service Officer. Q: What drove you to pursue the field of International Affairs? Was there a pivotal moment in your life that carried you forward on this track? A: The black community equate success with becoming a lawyer or a doctor. Due to this pressure, I initially pursued a degree in political science at Spelman College, with the intention of studying law. But during my first semester, I participated in a program in Washington, D.C. where I met Ambassador Ruth Davis. She is the first woman of color to be appointed as Director General of Foreign Service and the first African-American Director of the Foreign Service Institute. She carried the torch that had yet to be lit. She inspired me to serve my community as a public servant through international service. My aspiration to engage and learn from and with other communities began. I studied abroad every opportunity I could. It was all paid for by the government or other external funders. I want to emphasize that those opportunities are there so no one should count themselves out. My travels furthered my excitement to be a public servant. Q: How and why did you choose Georgetown University to pursue a graduate degree? A: Through the Public Policy & International Affairs (PPIA) program: a program that promotes the inclusion and participation of underrepresented groups in public service, I attended an APSIA-led graduate fair where I learned about the various graduate programs available. At this point, I had received a Rangel Fellowship, which supports fellows as they pursue their public policy graduate degree. I was drawn to Georgetown University’s Master of Science in Foreign Service for three main reasons. Firstly, location was important to me. I wanted to be in the DC area, the center of politics. Additionally, the centralized campus (as opposed to the city-wide campuses of other programs) was attractive to me. That coupled with the small cohort of the program ensured that I would be able to build deep relationships with colleagues. Secondly, I was drawn by Georgetown’s Jesuit roots. I am a person who is deeply ingrained in my spirituality and faith. My social justice work is grounded in my faith principles. I saw the same ideals at Georgetown. Lastly, the financial assistance that Georgetown offered was very welcomed as well. Q: Did you face any barriers in pursuing higher education and the field of International Affairs? How did you overcome those barriers? A: Familial pressures to stay close to home played a factor. Living internationally has ties to being privileged and my family did not necessarily have that privilege. My family members have less exposure abroad and I had to work to invite my family with me on my journey. I wanted to expose my family to the reality of what my future would look like. When I was a Fulbright fellow in the Dominican Republic, one of the best memories was having my family come visit me. As a woman of color, tied to communities that often have less opportunities to be exposed to the world, it is my responsibility to build a bridge for my community. Q: How has your graduate studies shaped your career endeavors? A: It has changed my lens in how I see the world. Coming from Spelman College, a black liberal arts college for women, I had a black-centric, women-centric lens. Georgetown is a completely different space and I’ve had to evolve to see a new perspective. There are differing opinions that push my norms. Graduate school is allowing me to see from a scientific lens, not just a cultural lens. I am grateful for my dual experiences because I can now be a more effective Foreign Service Officer who have experienced both worlds: Spelman and Georgetown. Q: Do you have any words of advice for students rising from underrepresented communities to pursue higher education in International Affairs? A: Don’t be afraid of the unknown. Don’t be afraid to be disruptive. Some people won’t like you sometimes and that’s okay. I encourage everyone to show up with your background. Minority groups feel that they have to assimilate into the dominate culture instead of exchanging cultures. I believe that is the worst thing we can do in moving our system forward to have real diversity. We need to authentically represent who we are when we are making decisions in leadership positions.